Tasmyn Vaughn didn’t expect much when her dad’s job moved them to a small town in Florida; it was just another new school. But King is a town founded by magic and steeped in mystery, and soon Tasmyn’s ability to hear others’ thoughts is the least of her worries. There’s Ms. Lacusta, the science teacher who just might be teaching more than chemistry, and then there’s Nell Massler, the ultimate mean girl whose extracurricular activities include blood rituals. And she wants Tasmyn’s blood next. 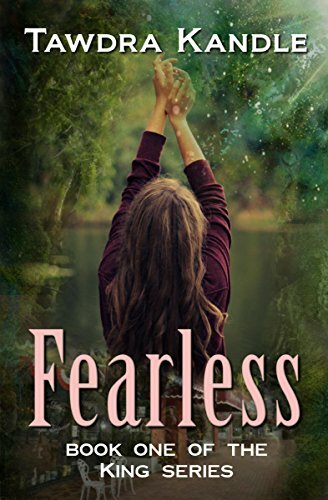 Entangled in a web of first love, quirky and secretive townsfolk, magic and blood spells, she discovers the town’s secrets aren’t just bizarre, they’re deadly. Save Tomorrow is a series of paranormal romances that begins in the small town of King, Florida, winds through the Serendipity and Recipe for Death books, and finally culminates in Age of Aquarius, the inevitable showdown that ties all the characters together in a fight to stop the ultimate evil.